Meet Deegan Ross. 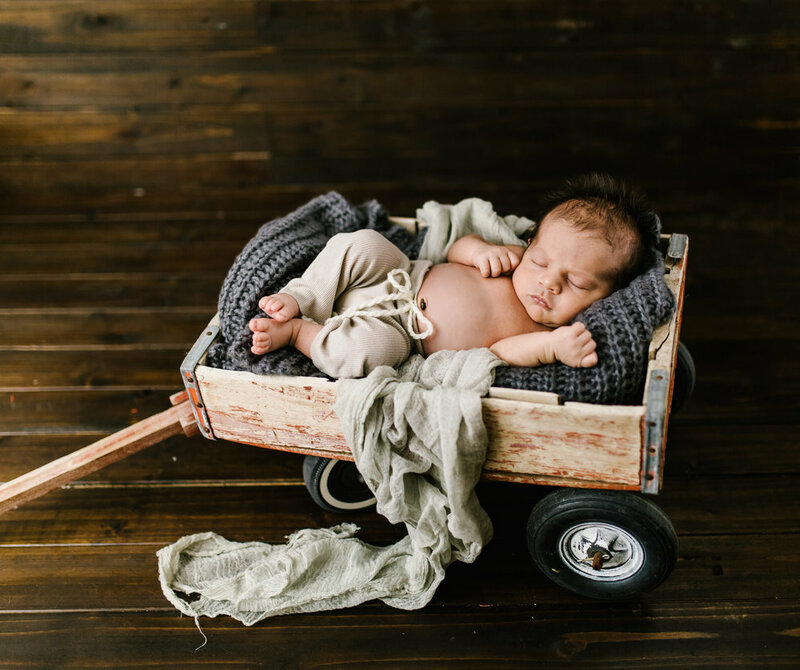 He was born 2 days after his due date on October 12, 2016. Mo said, "I was induced 10/11 and 13 hours later he arrived after 1 hour of pushing." He doesn't know it yet, but I am pretty sure he is going to be an awesome hunter. 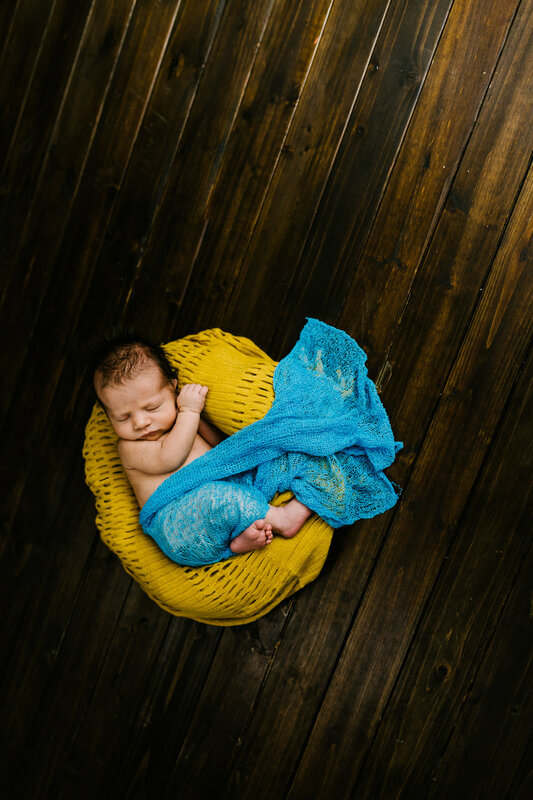 I had so much fun taking this little mans photos. It took him a bit to fall asleep but once he was out, he slept like a rock. Mom and Grandma brought some fun props for us to use in his photos. 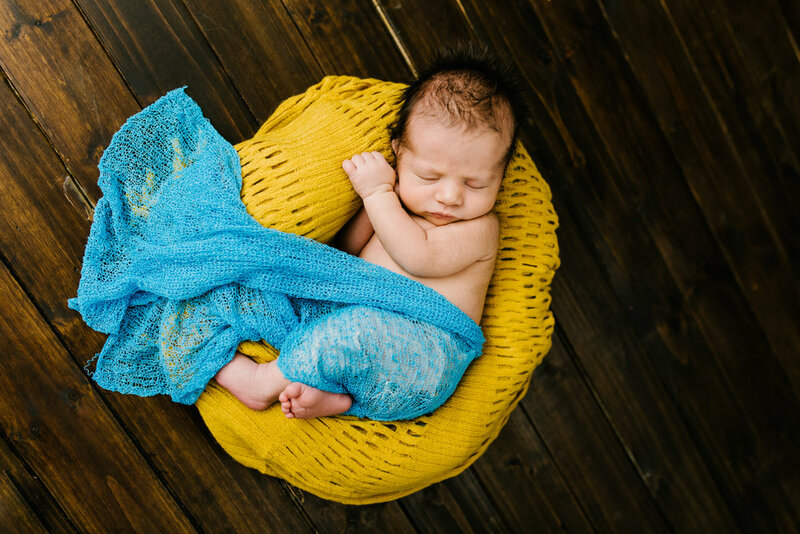 I love the more neutral tones for baby photos, but we threw in one with a bright blue wrap just to get a little more variety. I also have to point out one of the photos I did some photoshopping to. I never do photoshopping to any of my photos but this was the one that mom really wanted, and the only safe way I could do this photo was to use photoshop. Its the last photo in the post. Enjoy!